Five acres plus lot in well maintained subdivision. Phone and electric run down the road and the property is eligible for a well and septic. 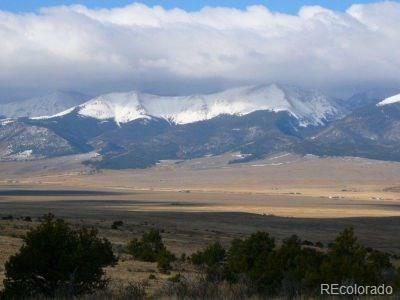 Huge expansive views of the Sangre de Cristo Mountains and for a big plus, this property borders a large tract of community open space.